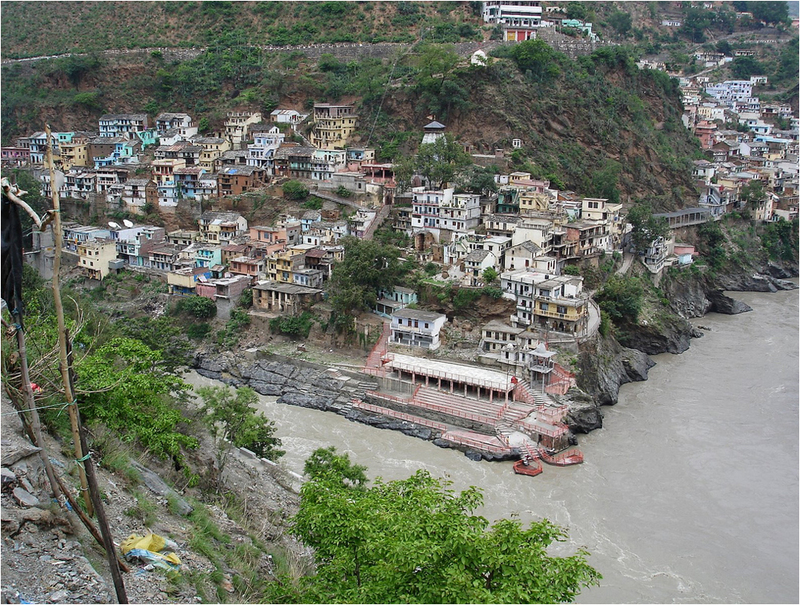 The Alaknanda River and Bhagirathi River form the Ganges river at Devprayag. India’s central government canceled a dam project on a Ganges River tributary last week, after the leading partner in the ruling coalition intervened because of environmental and religious concerns, the Times of India reports. A group of ministers led by finance minister Pranab Mukherjee green-lighted the 600 Megawatts Loharinag Pala hydroelectric project since the government had already spent Rs 650 crore (US$139 million) on the dam and committed Rs 2,000 crore (US$429 million) in supply contracts, according to the Economic Times of India. But leaders of the Congress party, including environment minister Jairam Ramesh, abandoned the agreement because of local and national pressure. Since it was a run-of-the-river project, the dam on the Bhagirathi River in the northern state of Uttarakhand would not have created a large reservoir, but instead would have dried up a 16-km stretch where the water was diverted through pipes to the generators, the Times of India reports. Work on the dam stopped in March 2009 after a well-known India scientist, AD Agarwal, nearly died during a hunger strike in protest. “The water … is not ordinary water to a Hindu. It is a matter of the life and death of Hindu faith,” said Agarwal, former dean of the Indian Institute of Technology, to the Guardian before he started his fast. Since the Ganges is sacred in Hinduism, religious concerns were cited alongside environmental effects as justification for canceling the dam project. In conjunction with the decision, the government will designate a 135 km section of the Bhagirathi upstream of the town of Uttarkashi an ‘environmentally sensitive area’ under India’s Environment Protection Act, a move that will prevent future development projects on the river, according to the Times of India. Two other hydroelectric projects on the Bhagirathi were also recently canceled due to concerns about their effect on the river’s flow. However, not all protests in Uttarakhand have been as successful. In 2006 the government completed the Tehri dam, which sits downstream from Uttarkashi and is one of the world’s tallest at 261 meters.